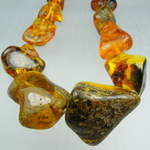 This attractive "fossil resin" was worn by the Romans because of it's healing powers against "reumatism" and other kinds of pain. 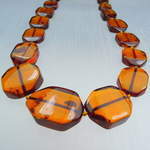 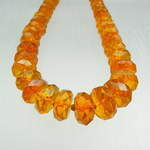 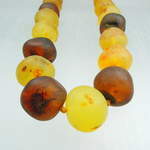 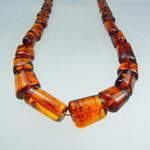 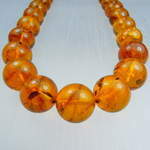 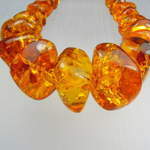 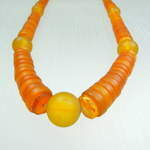 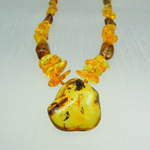 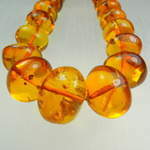 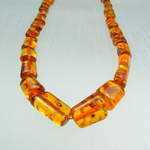 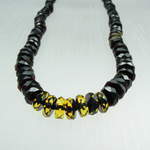 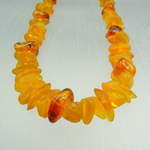 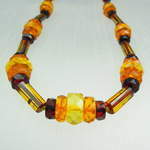 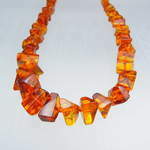 We have "Amber" available as necklace of all kinds of colours and shapes, bracelets, rings, pendants and earrings. 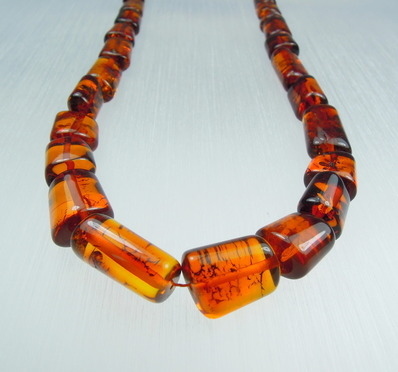 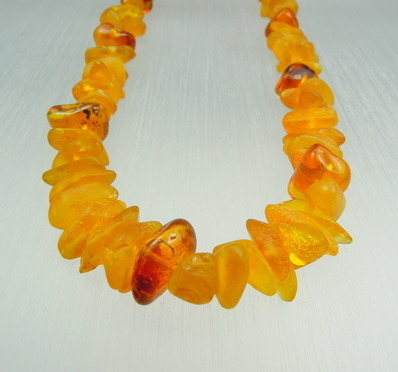 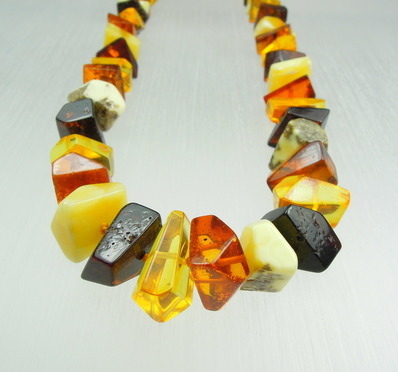 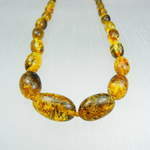 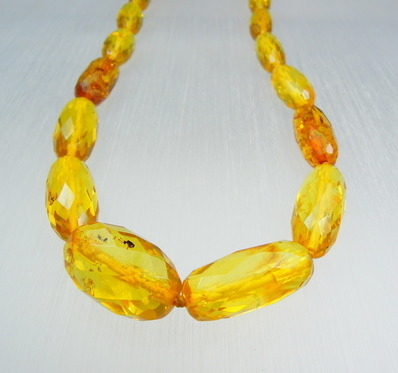 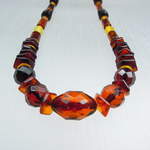 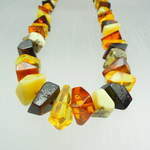 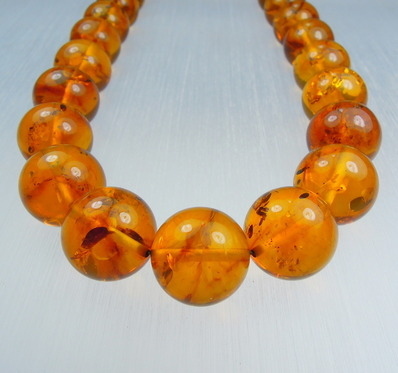 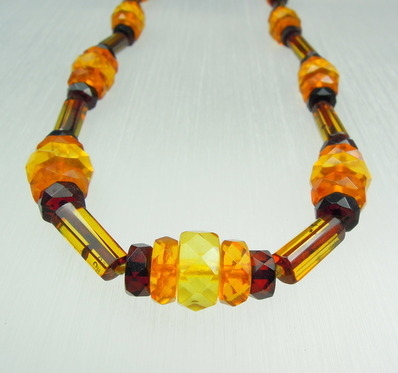 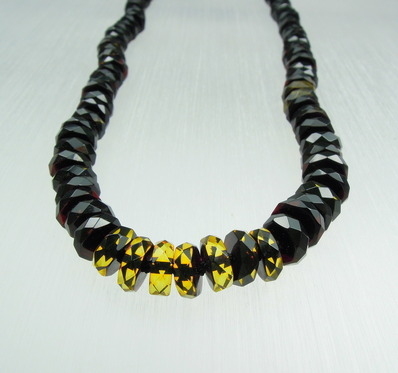 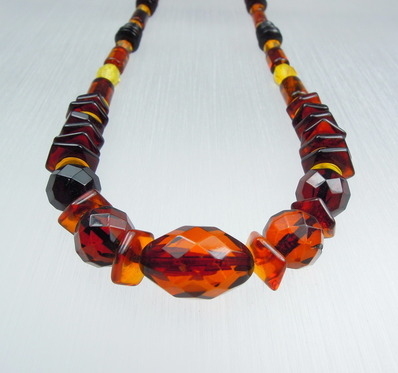 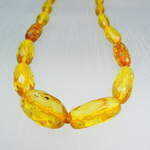 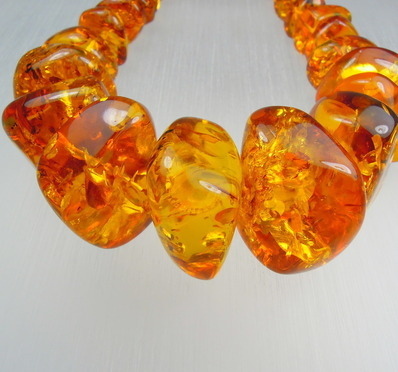 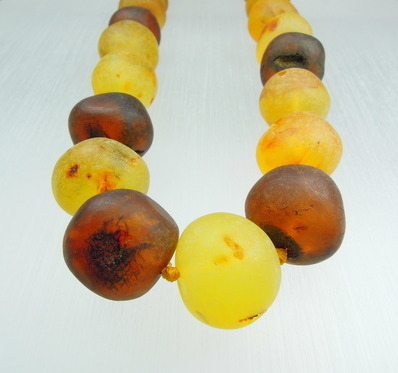 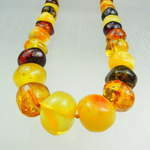 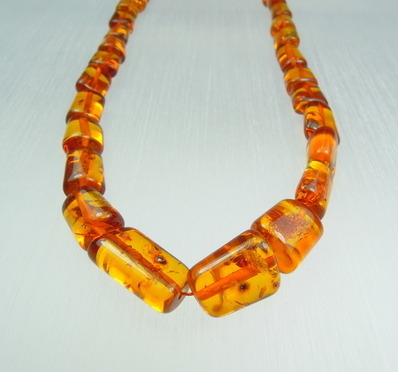 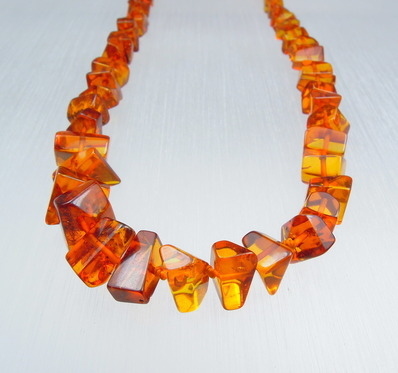 Amber has a enormous variety in colour and is very comfortable to wear because this material is so light in weight. 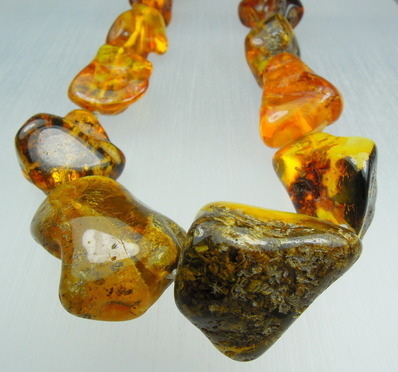 Amber can recognized or distinguished from other materials through the fact that it's statical electrical and it's smell that is often used for incense. 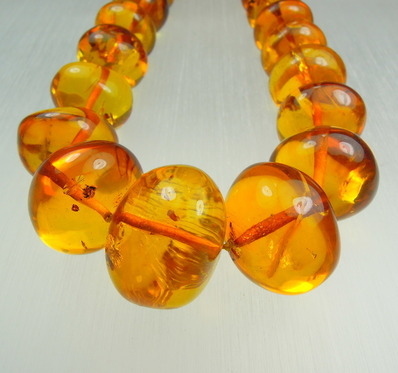 * maintenance-tip: see "pearls".